What is that redness on my face? Chances are… It’s rosacea. Unfortunately, as the condition becomes more severe, 90% of rosacea patients report that rosacea has lowered their self-confidence and self-esteem, and over 40% percent report that the symptoms of their rosacea have harmed their social life, causing them to avoid public contact and even take sick leave from work. 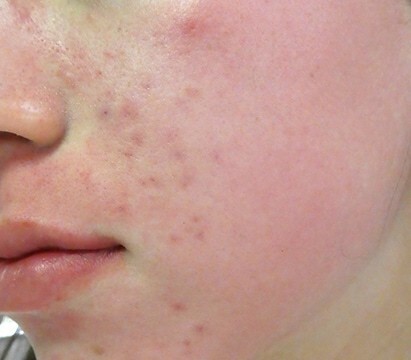 Rosacea presents itself as a wide spectrum of symptoms from simple “rosy cheeks”, wherein the skin of the face may “blush” red or pink, to progressively more serious symptoms, such as dilated blood vessels, to spider veins (called telangiectasias), to small red bumps (papules) that may be filled with pus that can also ooze causing the skin to be swollen, shiny and wet. 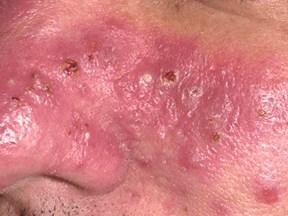 In severe cases with oozing pustules, rosacea is often called “Acne Rosacea”. Fortunately, rosacea is not contagious or infectious. There are 4 different subtypes of rosacea. 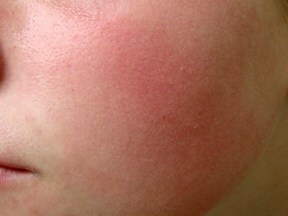 Subtype 1 Rosacea: This subtype of rosacea is known as Erythematotelangiectatic rosacea (ETR). It presents itself on the central face as flushing, persistent redness and visible blood vessels. It often occurs prior to, or along with, the pimples and bumps of subtype 2 rosacea. Subtype 2 Rosacea: This subtype of rosacea is also known as Papulopustular, or acne, rosacea. It presents itself with redness and acne-like breakouts. Middle aged women are most likely to be affected by this subtype of rosacea. Subtype 3 Rosacea: This subtype of rosacea is known as Phymatous rosacea or rhinophyma. It most commonly affects men and presents itself as a thickening of the skin and enlargement of the nose. Subtype 4 Rosacea: This subtype of rosacea is known as Ocular rosacea. 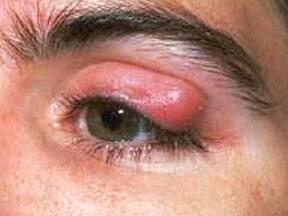 It presents itself around the eye area as excessive eye irritation and swollen eyelids. Other symptoms include excessive tearing, dry or burning eyes and lost vision. The symptoms of rosacea are numerous and can vary from person to person. It is essentially a spectrum of facial redness, that can span from simple “rosy checks”, to a serious pathology of the skin that is disruptive to lives of those who suffer from it. 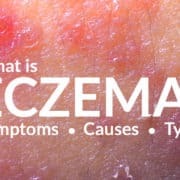 What is important in understanding rosacea, is that it is not just about redness in the surface layers of the skin, because underneath the redness there is an underlying weakness of the collagen matrix of the dermis that must be addressed in order for the cause of the rosacea to be healed. The following are the most common symptoms of rosacea that people experience as well as what causes them. Easily Blushing (flushing): Episodes of blushing can last for several minutes and can be accompanied by the skin feeling excessively hot. This blushing can begin on the face and spread to other areas such as the neck and chest. 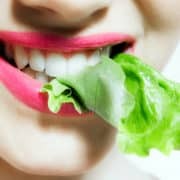 The cause of these symptoms can be a function of even the simplest of things, such as emotional situations like being embarrassed, or as a result of food sensitivity such as red wine, spices or MSG, and of course, it can be the result of exercise or simply being hot. Bottom line, for some, the dilation of the blood vessels in the skin of their face that turns their skin red can happen very easily, as a result of all sorts of daily innocuous provocations that would not even be noticed by most other people. Hyper-reactivity of Facial Skin: Simply touching your face can cause the dilation of sensitive blood vessels and make the rosacea symptoms appear worse. Physical stimuli such as sunlight can also cause this dilation. Often mistaken as sensitive skin, it is actually caused by sensitive blood vessels in those that suffer from rosacea. Facial Redness that Persists: When episodes of blushing, or facial redness, persist and do not go away. This symptom of rosacea is caused by the dilation of hundreds of tiny blood vessels that are near the surface of the skin. Normally, the blood vessels that nourish the skin are tucked away in the deeper dermis and cannot be seen at the surface. But in cases of rosacea, the mass of tiny blood vessels congregate at the border between the dermis and the surface epidermis, where they can be seen. Under a microscope rosacea looks like a field of tiny blood vessels all tangled together… sort of like Velcro. 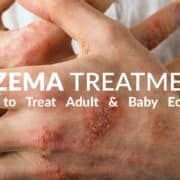 Pimples, Pustules and Papules: Also known as inflammatory rosacea, or “gin blossom”, these small bumps usually appear on the nose and cheek area and are often confused with acne. In the case of rosacea, the skin is truly inflamed, is typically sensitive to the touch, and might even be oozing an oily liquid fluid that makes it shiny and bright. 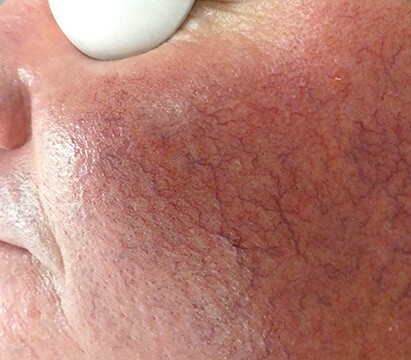 Spider Veins (broken capillaries): Also known as vascular rosacea, these spider veins on the nose and cheeks become more visible as they swell causing the skin to become blotchy. They often resemble a spider web, hence their name, and are usually a sign that the rosacea is progressing and getting worse. Rhinophyma (thickening of the skin on the nose): A rare condition that causes the nose to become enlarged and bulbous due an overgrowth of collagen and sebaceous glands. Males are more likely to develop this condition than females. It is often associated with men who consume a lot of alcohol, and as mentioned previously, alcohol consumption does cause the dilation of blood vessels in the skin. However, this condition can occur in people who do not drink alcohol at all. Ocular (or eye) Rosacea: Causes burning, itching and redness of the eyes. The inside of the eyelid may appear scaly and become inflamed. The outside of the eyelid may become red and swollen. Symptoms of this type of rosacea can also include sensitivity to light, tearing, and in rare cases, blurred vision. Swelling of the Face (edema): A buildup of fluids and proteins in the facial tissue caused by leaking blood vessels. This fluid usually collects above the nasolabial folds creating the appearance of “baggy” cheeks. Exactly what causes rosacea is not known, though we do know that it is an inflammatory process that involves the dilation and inflammation of the blood vessels in the skin of the face. Conventional wisdom indicates that rosacea has a genetic component that is then aggravated by environmental conditions such as excessive sun exposure, environmental toxins, skin mites called demodicosis (Demodex folliculorum) that infest hair follicles, and of course reaction to certain medications. Other elements that are known to cause or trigger the symptoms are alcohol consumption, exercise, smoking, spicy food, and emotional upsets. From a scientific point of view, rosacea remains largely an enigma. While we know what it is, we simply do not know what causes it. Not surprisingly, we also do not know why various treatments work, or don’t work. Even more confusing is the fact that some treatments that work on a specific case or cause of the rosacea, will not work on others. So far no one has been able to establish a direct causal relationship between any of these “triggers” that consistently cause rosacea. The underlying cause or causes of rosacea are simply a mystery. Though the intensity of rosacea in the typical patient may vary from day to day, overall, rosacea gets worse the longer a person has the condition. Bottom line, time is not on your side, and the longer you wait the worse it will typically become. Therefore, the sooner you treat the rosacea the easier and more effective the treatments will be. 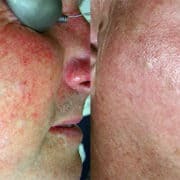 Though many Dermatology medical books indicate that rosacea is an incurable auto-inflammatory illness, we have developed advanced protocols using medical grade lasers that are very effective in treating even the most dramatic cases. In the final analysis, from the perspective of a patient, we are left with unhappy skin that is suffering from a combination of symptoms whose cause or causes we cannot identify. Consequently, the physician’s job is now simplified. Set aside all the scientific theories and focus on developing treatments that alleviate the symptoms and that make the skin happy. As in all therapies, we want to utilize the most natural methods possible that don’t expose you to detrimental “side effects” that disrupt other aspects of your physiology. And of course, we want rosacea treatments that produce long lasting results and go directly after the cause of the rosacea. For practitioners of “evidence based medicine”, even when the causes are unknown, our primary focus remains identifying “what actually works” in treating your rosacea. Armed with that knowledge we can then customize a combination protocol from “all the things that work” in order to maximize your individual results from the treatment. 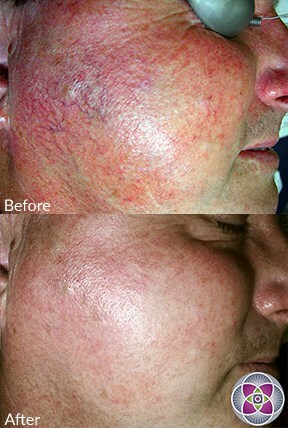 If you suffer from rosacea, there is a path that is right for you to successfully treat and heal your skin! To discover the correct path of how to get rid of rosacea, you will have to become the Sherlock Holmes of solving your own case of what is causing your rosacea. Therefore, it is best if you find a doctor who is willing to collaborate with you on this exploration. Doctors this creative and open minded typically practice “Integrative Medicine”, or better yet, they might be a combination MD, ND (Naturopathic Doctor) or HMD (Holistic Medical Doctor). When asking your doctor about your rosacea you must remember that your doctor only sees your symptoms framed within a “snap shot” in time when you happen to be in his/her office, and therefore he/she has no idea how your skin responds to various inputs and treatments on a continuous basis. You are the one who has to take notice of what and how your skin responds to everything that might be affecting its condition. Then, as the pieces of the puzzle take shape, with your doctor’s help, you might be able to arrange the data in such a way so that a clear picture of what makes your skin happy can emerge. The bottom line: notice everything and take notes. What things upset your skin and trigger the rosacea, and what things make your skin happy and reduce the redness.